KANSAS CITY, Mo. — With significant flooding happening north of Missouri, experts suggest Kansas City area homeowners inspect and prepare their basements before nearby rivers rise. For decades, Dry Basement Inc. in Kansas City, Missouri, has been focused on foundations, helping more than 45,000 homeowners. "Anything with the foundation, anything below ground, we're experts in that arena," said Curtis Bramble, president of Dry Basement. While flooding hasn't directly impacted homeowners in the metro area, Bramble is reminding them to do some digging around their basements because he's predicting a busy spring season. "Go around, do some exploring, take a flashlight, look around, feel around, use your senses," Bramble said. New and old homes can all be at risk for flooding. Bramble said if you find unusual cracks or standing water in your basement, call an expert to investigate the potential problem. "It's just like health and your body, whatever you delay in taking care of is probably going to come back and be a problem for you more significantly," Bramble said. Once a problem is discovered, a sump pump may be the best solution. But keep in mind that not all homes need a sump pump to push out water, while others may need more than one. Bramble said new technology now allows sump pumps to call a person's cellphone and alert homeowners when something is wrong. There are also single devices that can sound off when there's unwanted water. "So you can stage that alarm and put the sensors in that area and when the water makes contact, it completes the circuit and sounds an audible alarm," Bramble said. To prevent water from entering a home in the first place, Bramble suggests homeowners have positive grading slopes around their homes to direct stormwater away. Make sure to clear gutters of any leaves from the fall, and don't allow soil around the home to dry out. 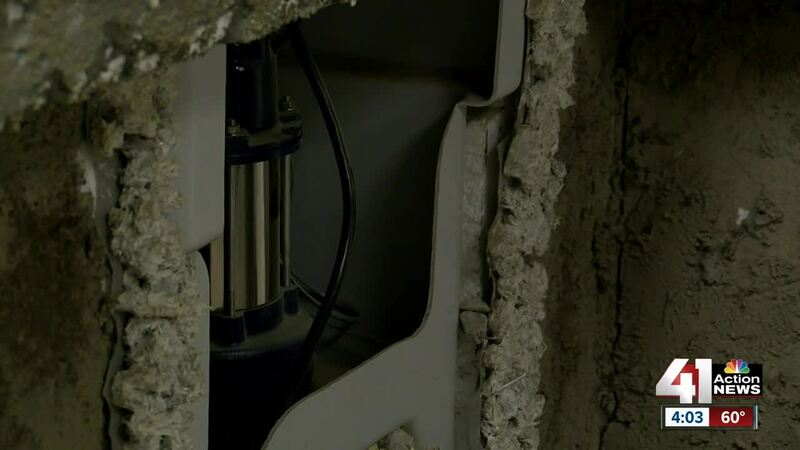 For homeowners with a sump pump, experts suggest having it inspected at least once every year.